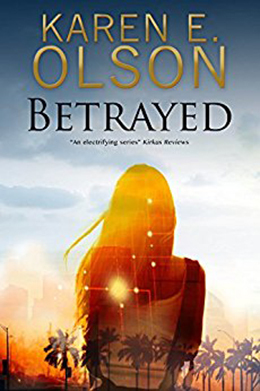 Like any good thriller should, Karen E. Olson’s Betrayed starts like a bullet – quickly gaining velocity and smashing through each obstacle in its path – before reaching a tension-filled climax guaranteed to please even the most jaded reader. Through each book in the Black Hat Thriller Series, Karen E. Olson has peeled back the layers of her complex heroine, an expert computer hacker with multiple aliases. Now living under the name Tina Adler, no case of assumed identity can keep her from getting entangled in the cyber world once again. When her old cohort (not to mention former flame), FBI Agent Zeke Chapman tracks her down, she knows he is not coming over for tea and conversation. It seems that Tina is being framed for the hit that killed Mob boss Tony DeMarco and if she doesn’t join Zeke’s team of hackers, there may be no way to stop her eventual fall for the crime. Karen E. Olson uses this setup to further explore the past of this complicated woman. For a woman trying to forget who she is, going back to the beginning may be the hardest assignment yet. Like their exploration of the Dark Web, Tina’s journey into her own buried past is fraught with danger, deceit, and more than a fair share of risk. Series thrillers rest firmly on the shoulders of the returning characters. Both Tina and Zeke have gained reader fans, but even members of the newly assembled team elicit interest and loyalty this time out. 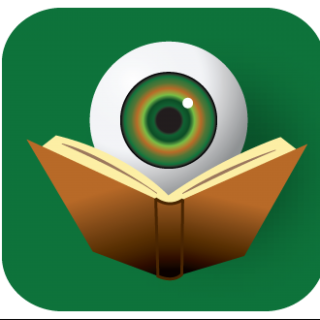 None of that would work without the shadowy figure of a compelling villain – or is it villains – out to expose and exploit Tina’s flaws. As Betrayed comes to a close, Karen E. Olson cannot resist keeping readers on tenterhooks right up until the final moments. And as if that were not enough Olson crafts a cliffhanger with just two simple words – a move that guarantees readers will return for Vanished (Book 4 coming next year).